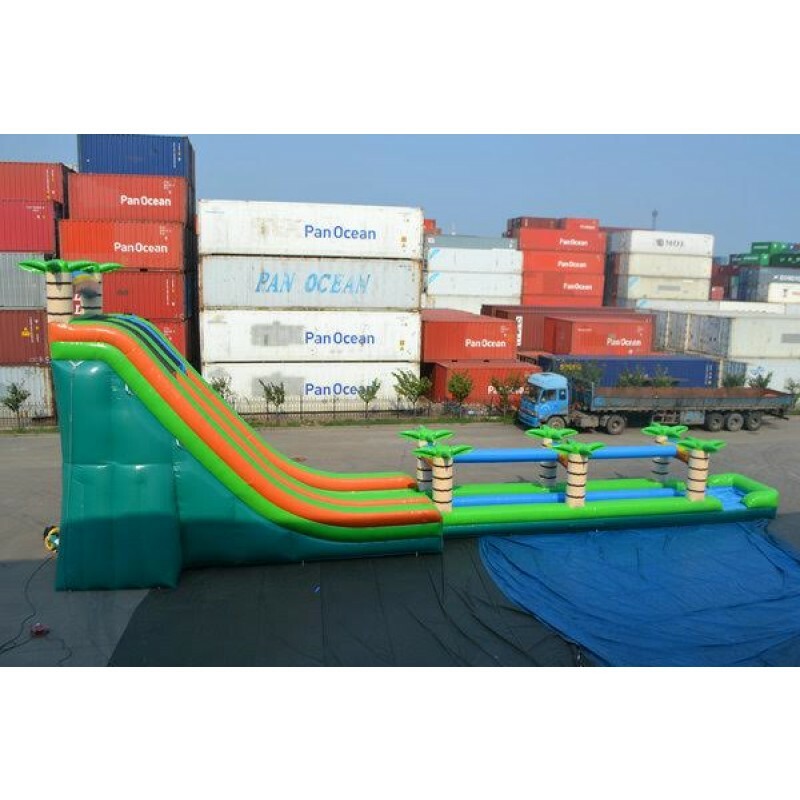 Beat the heat with the 27’ Tropical Water Slide. 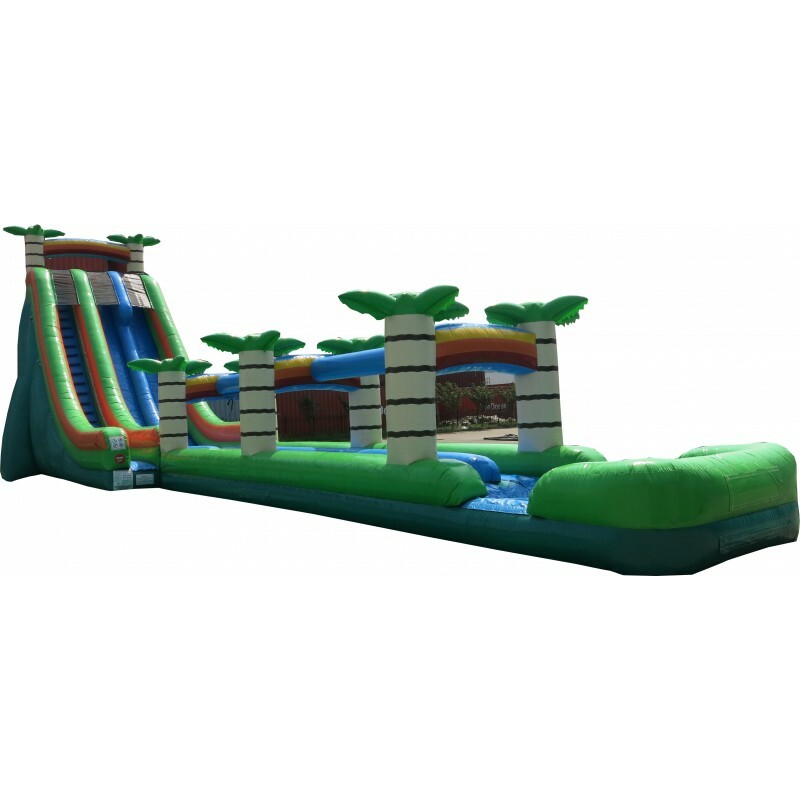 Add a tropical touch to a child’s birthday party or any other event with this inflatable water slide. At a low price, you’ll enjoy hours of fun with this water slide rental. 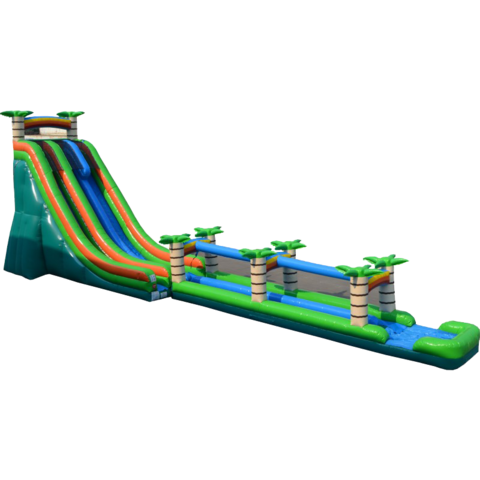 The 27' Tropical Water Slide with Slip-n-Slide provides a wet island retreat from the heat! 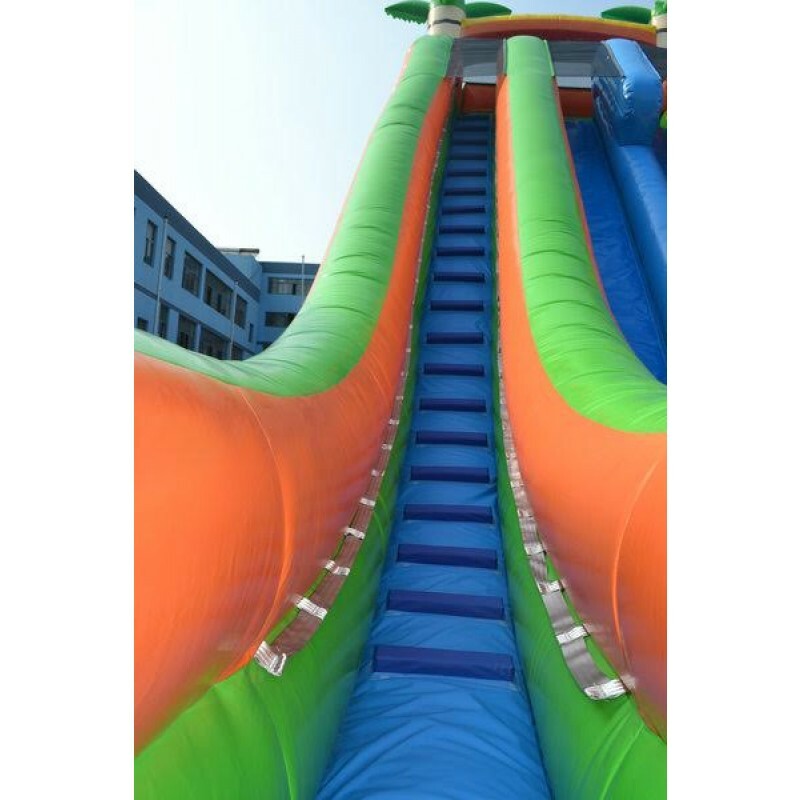 This 27-foot-tall unit combines the fun of our inflatable, two-lane water slides and inflatable slip-n-slides into one exciting water ride. Riders take off down the 27-ft high slide before launching down the slip-n-slide. Looking at the rainbows above and sliding through the shady palm trees till the end is sure to relax and excite all at the same time!